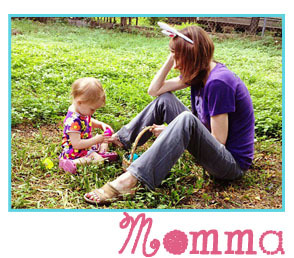 Get ready for your new spring and summer scent! 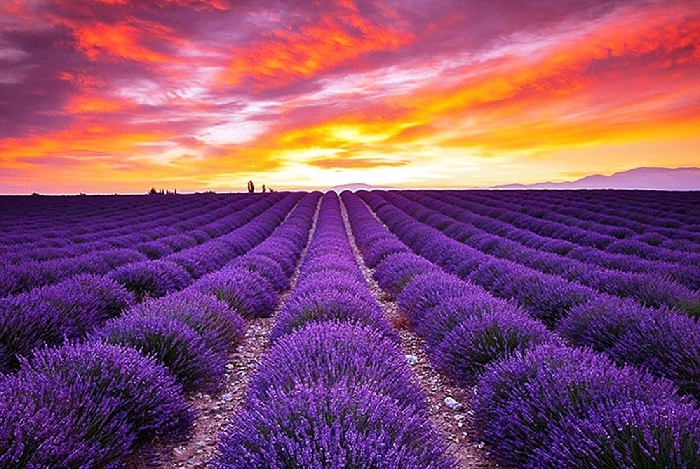 The color and scent of Lavender is in full bloom from June through September with beautiful Ultra Violet fields of the captivating herb swaying and scenting the breeze. But as Isaac Newton observed, color is not inherent in objects. Rather, the surface of an object reflects some colors and absorbs all the others. 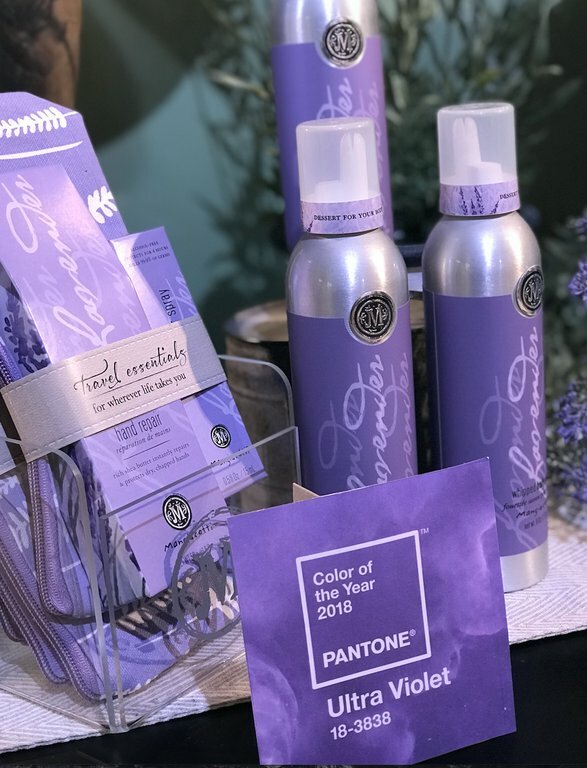 2018’s Color of The Year – Ultra Violet has the reflected colors of the mix of red and blue hues, but it is that imagery that is sparking major creative and spiritual influences in fashion, food, home décor and beauty. Mangiacotti takes the sense of smell deeper into the complex and contemplative, Ultra Violet with a whiff of its intoxicating scent. Introducing the Lavender Collection of Fragranced Home, Kitchen and Personal Care Products. 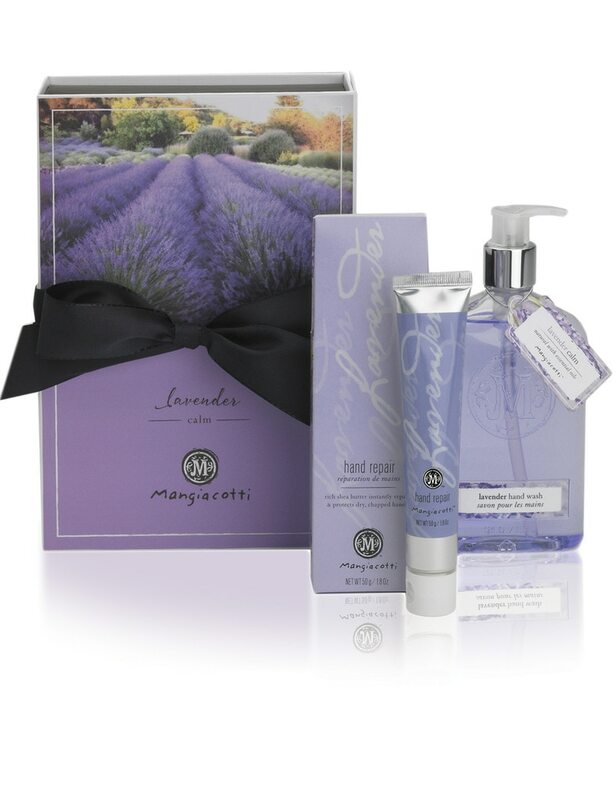 Mangiacotti’s Lavender Collection suggests mindfulness and a calming refuge from today’s over-stimulated world not just with the violet-toned visual packaging, but more profoundly with therapeutic and evocative fragrant notes of vanilla, almonds, cinnamon, cloves and hints of caramel and tobacco finished with pure lavender essential oil for a warm, meditative, inspiring, and connective scent. 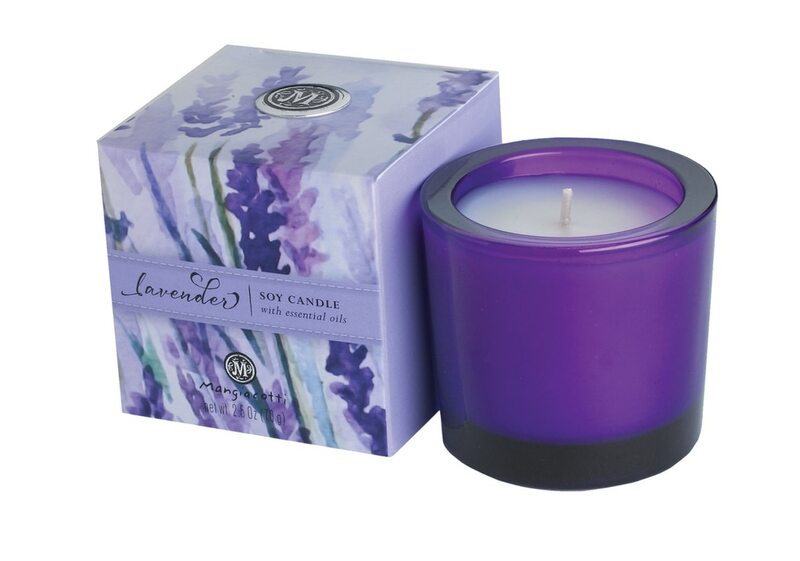 My absolute favorite item is the Mangiacotti Lavender Soy Candle which makes me house smell so inviting! Lavender Soy Candle – NEW!